Wraptie is the world’s smartest multi-function tie down strap. 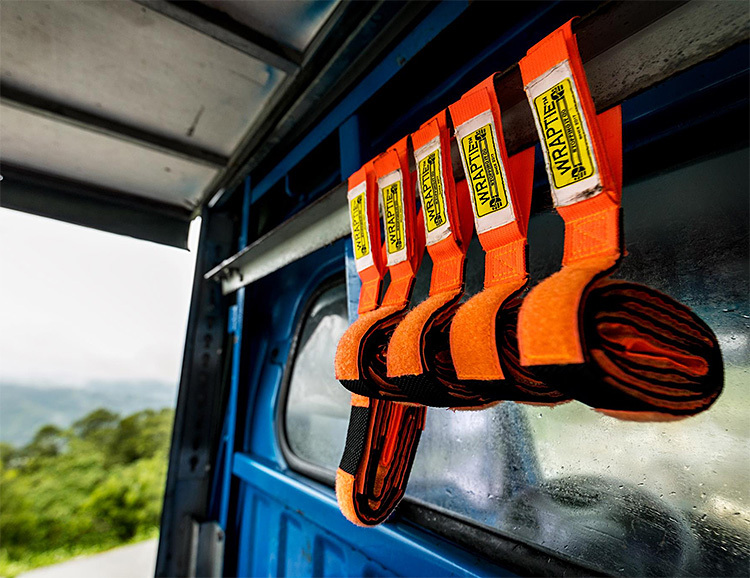 These versatile straps come in a variety of sizes and use a hook & loop fastening system that can secure loads up to 110-pounds. They feature high tension industrial grade elasticized webbing and bands with velcro that keep the strap neat once secured, so there’s no need to tie off the extra. Choose from 130cm, 180cm, or 240cm sizes.